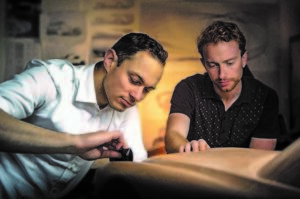 Morgan is working on an all-new high-performance sports car flagship that will both reinforce its reputation for classic design and move it on a couple of decades, notionally into the Jaguar E-Type era. The new car, which will be made in both coupé and roadster forms , follows several years of research into what a traditionally minded 109-year-old car company should do next, without threatening its successful classic model range. 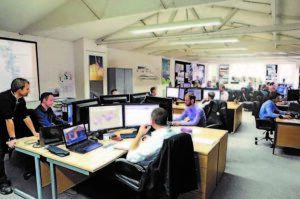 It is being created in-house by design and engineering teams that now total around 30 people as a result of recent, well-targeted investment. The new hand-made flagship’s first iteration is understood to be a two-door, two-seat coupé that should appear in the mid-2020s, estimated to be priced near the level of an Aston Martin V8 Vantage. It will use a new architecture with the classic Morgan front-engine, rear-drive layout and continue the marque’s tradition for compact dimensions and light weight, while utilising the latest in chassis and powertrain engineering. Morgan bosses are coy about revealing the new car’s performance and power, not least because it will have several different powertrains, including electrified variants, over its life. Early versions are likely to use a downsized, forced-induction six-cylinder petrol engine producing 350bhp-plus, driving through either a manual six-speed or paddle-shift automatic gearbox . Performance is likely to be close to Plus 8 levels, which means a top speed of 150mph-plus and 0-60mph acceleration in the 4.5sec bracket. The new car’s key structural element will be its new-era bonded and riveted box-section chassis in aluminium , created specifically for versatility in multiple applications. 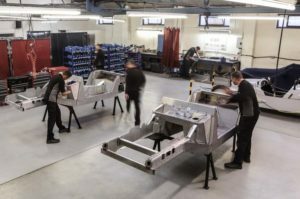 This chassis, under final development now in Morgan’s workshops, will have its first production application next year in a model that uses the brand’s current classic architecture , to be launched as part of Morgan’s forthcoming 110th-anniversary celebrations. Previous premium-level Morgans also used a bespoke aluminium chassis, but that design was created in 2000 and has been much modified since to meet current legislation. Morgan believes the new design can provide the right basis for its pricier models for the next decade, and probably beyond. Morgan managing director Steve Morris said the new flagship shouldn’t be seen as a replacement for the Aero or Plus 8 models, recently discontinued after Morgan’s supply contract for normally aspirated 4.8-litre BMW V8s ended. Rather, it is an early result of several years’ study into how the company should shape its future. The new chassis is the first tangible sign of this, said Morris. It is very similar in weight and dimensions to the Aero’s outgoing structure but twice as stiff. It can also provide comfortable driving for both bigger and smaller people than existing Morgans, hence its internal description as “the wide-bodied car”. It can also cope with the predicted demands of electrification, which might, for example, require the car to carry sizeable traction batteries and provide space in its centre-rear chassis for electric drive motors. Design head Jon Wells said shaping the new Morgan requires integrating traditional Morgan values into a new look that moves forward in era. One model in Morgan’s design history that faced a similar challenge is the Plus 4 Plus of 1962, a coupé that set out to modernise Morgan and is widely admired today for its beauty. Only 26 copies were sold, mainly because the company’s marketing people (at the time dealing with enormous demand for their roadsters) unrealistically priced it alongside the then-new Jaguar E-Type. The Plus 4 Plus was “neither classic nor modern”, said Wells, but made the bold move of ditching Morgan’s tradition for running boards. Wells believes Morgan’s design palette is wider than most people think, aided by elements of the Plus 4 Plus, the Aero and Aeromax, and the recently revitalised 3 Wheeler. Among desirable Morgan design traits, he lists a short front overhang, a longer rear overhang with a low rear deck [this seems backwards, shouldn’t we see a long front with short back?] , round headlights, the driver located behind the car’s centre line, a rounded ‘mouth’, elegant front wings whose highest point is over the car’s front wheels and, above all, a look of coachbuilt authenticity, enhanced by great care with surfacing and positioning of shutlines. Morgan’s decision to take time over launching a new range of flagship models looks extremely wise, given that it has just had its best car-selling year in 109 years. In today’s uncertain conditions, it must be reassuring to be selling models whose appeal is a given, and which face no head-to-head rivals. If it keeps making the classics, the Malvern company is almost bound to stay healthy. This is also a nice moment for a new flagship. The outgoing Aero leaves a gap ready to be filled by something different. Design head Jon Wells knows the brand and its customers well and is at the height of his powers. Those of us who know and love Morgan have often wondered how this unique brand can progress. Over the next few years, we’re going to find out. Affordable sports cars was Peter Morgans ethos!! !